Tools from 5µ and Up. Are you looking for a 2 flute extended reach end mill with ball nose and .0040 cutter diameter? We've got it. Along with thousands of other micro tools. They're all in our PMT Catalog so click to open or download. 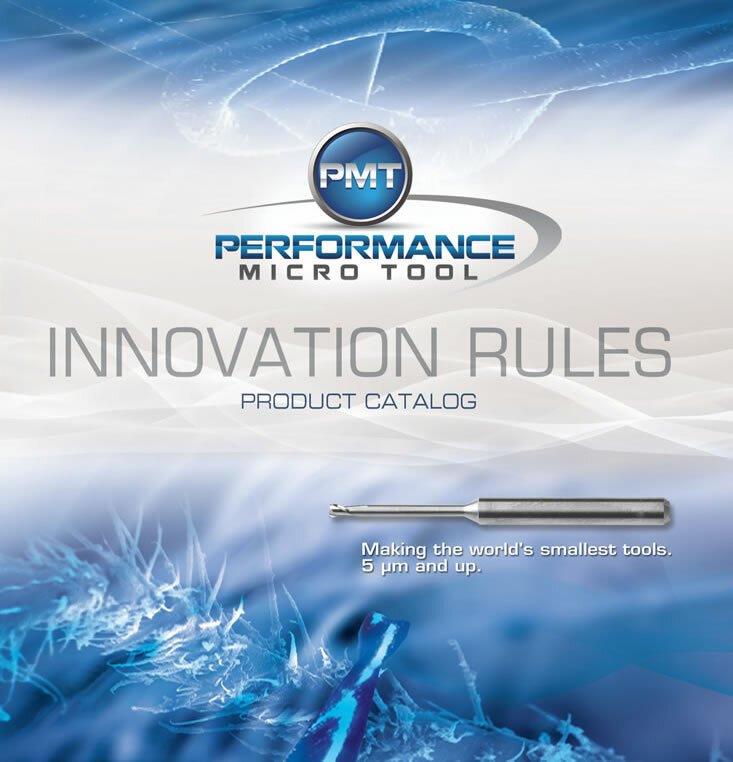 If you would like a printed copy of the PMT Catalog, contact us at 1-866-PERFORM (737-3676).